Last night, I had the pleasure of attending the Jason Isbell concert at the pristine College Street Music Hall in New Haven, Connecticut and ended up witnessing one of the best shows I’ve seen in years. I unfortunately missed the opening act, Blake Mills, but got there a few minutes before Isbell took to the stage. I found my way to the left side of the front pit and settled in for what I expected to a great night of music. 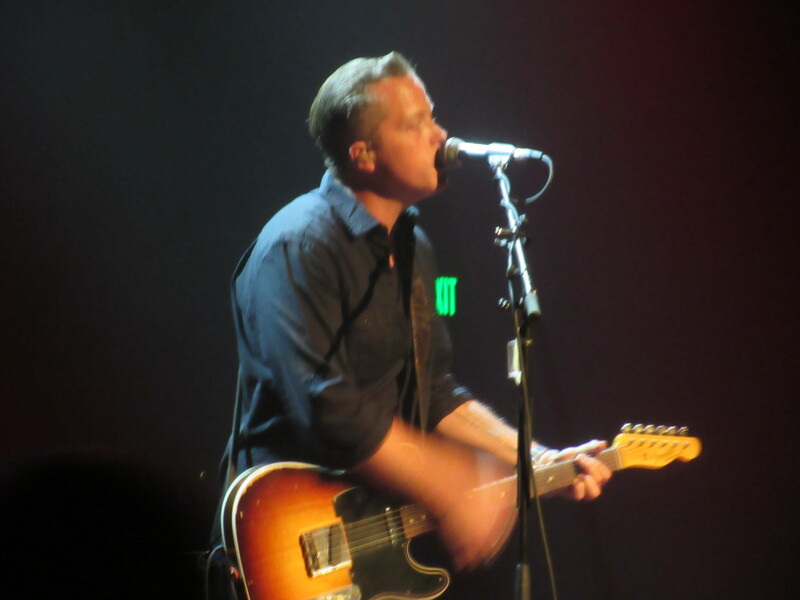 However, my expectations were blown out of the water with the live vocal presence of Isbell, as well as the true artistry he and his band, The 400 Unit, displayed throughout the night. It took him no time to get going into some of my favorite songs from his catalogue. He kicked things off with the funky “Palmetto Rose” and quickly transitioned into the folky “Stockholm” followed by his new single, “24 Frames”. 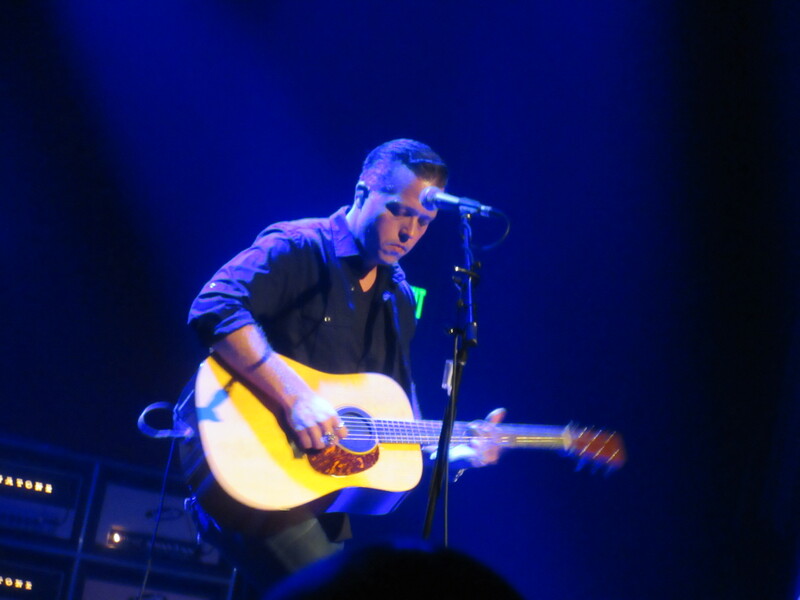 All three opening songs truly displayed the diversity that Jason Isbell has to offer. What I did not expect was the exceptional skill that he possesses with the guitar. He seemingly changed guitars each song with a more impressive one after another. And the guitar riffs, solo’s, and jam outs were plentiful and masterfully executed. And there was no lull to the show as he kept the crowd guessing what he was going to perform next. 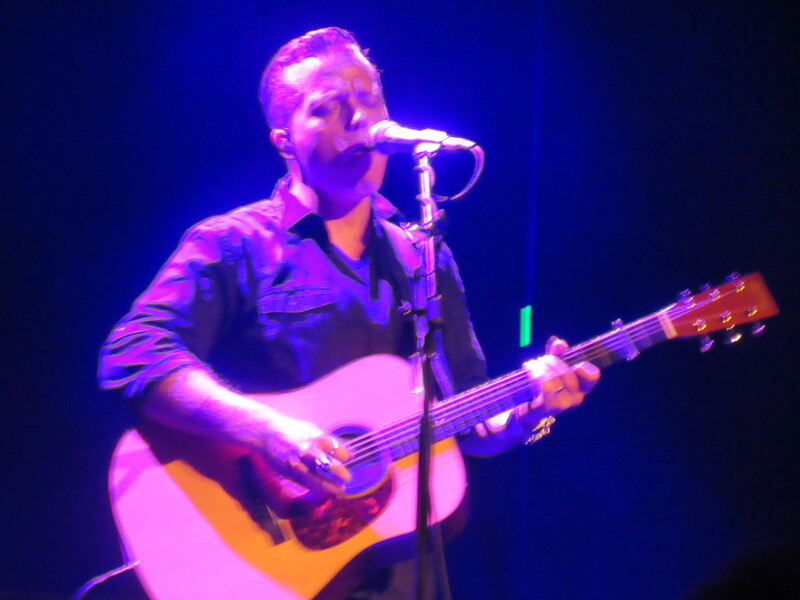 Whether it was the accordion backed bluegrassy “Codeine” or the impressive acoustic performance of the award winning “Cover Me Up”, the show was a rollercoaster of emotions, with the real star being the honest lyrics that Isbell creates. It was very clear to me last night that Jason Isbell may, in fact, be the best musical storyteller of this generation. From the sad military ballad, “Dress Blues”, which Zac Brown Band covered on their Jekyll + Hyde album, to the angry “Decoration Day” to the clever and witty “If It Takes a Lifetime”, there was truly no topic that Isbell could not make his lyrics connect with the crowd. The almost two hour set concluded with one of my least favorite songs, “Super 8”, but that did not bother me at all because the entire night was truly so impressive. 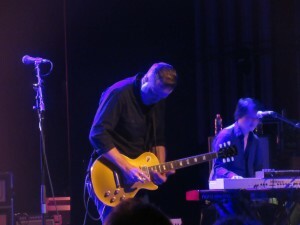 The overall setlist included songs spanning his entire career, including several songs from his time singing lead vocals for the Drive-by-Truckers. Most of his new album Something More Than Free was also performed flawlessly and had concert goers flocking to the merch table to get their hands on some autographed copies. 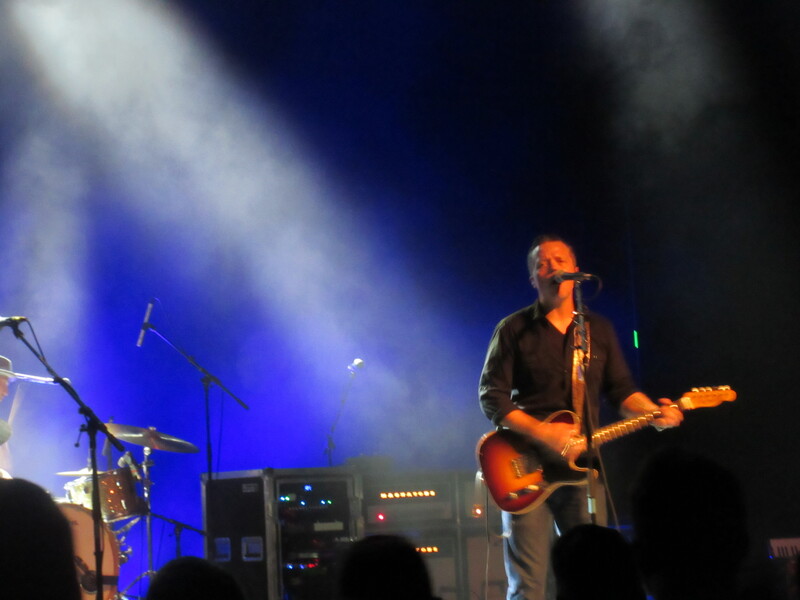 All in all, my expectations were surpassed and has made Jason Isbell & The 400 Unit a must see act each and every time they will come back to the Northeast.